This year we had the pleasure of spending a few months living in Japan. We did not do a lot of research, we just jumped in, all the while knowing we wanted to visit Tokyo Disneyland at some point. I know a lot of people come here specifically to see the park and Tokyo DisneySea as well, so in the three days we spent there, I tried to get a sense of how we could help the next clueless Americans make their way around the parks from a Fastpass plan to ride height restrictions and requirements. 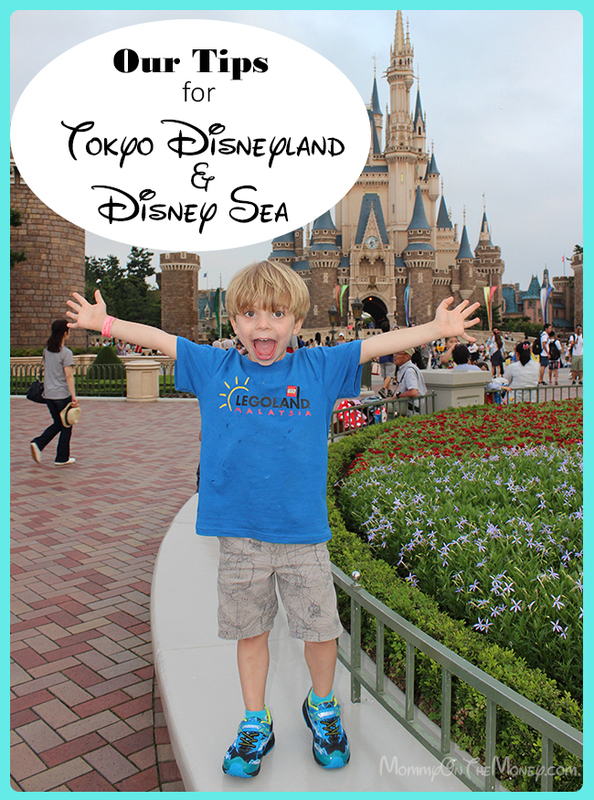 I'm sharing all of our Tokyo Disneyland and Tokyo DisneySea Secrets! A few days before our trip I started to read a lot about what to expect and plan out what we wanted to do, see, etc. I found that there were a lot of similarities in the parks and how they operated as well as some notable differences. We wanted to make the most of our experience because we had a limited time, two little kids, and not sure if we'd ever be back again. What I kept hearing was that the parks were CROWDED. I set forth a plan that was quite demanding and prepared my family for a grueling 3 days of "fun". Haha, it was fun. I'm glad we read up and had a little bit of a plan, but it wasn't as bad as everyone said it was going to be and we came up with an EVEN BETTER plan for the next guy. 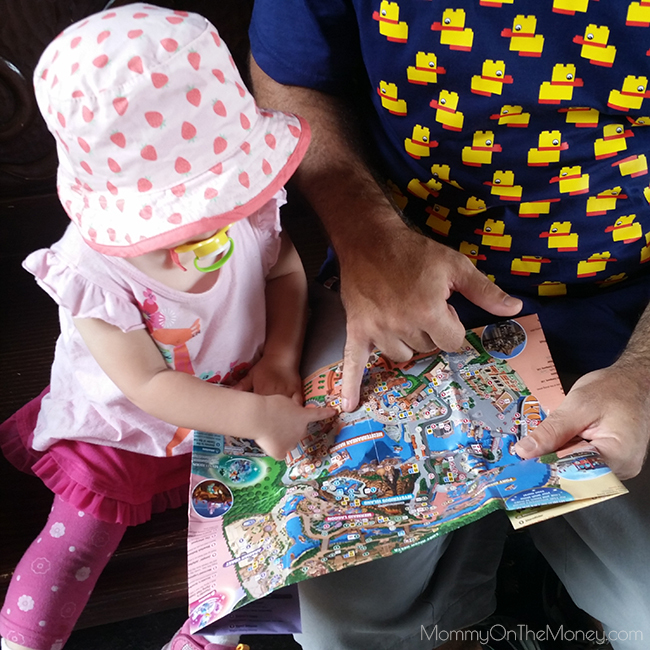 The biggest Tokyo Disneyland Secret for our trip was the timing. We arrived right before the kids got out of school and started summer school. This meant LESS CROWDS. The second secret we learned, like other Disney parks, is to visit up on Tues thru Thur when it is less crowded (Friday was pretty nuts). 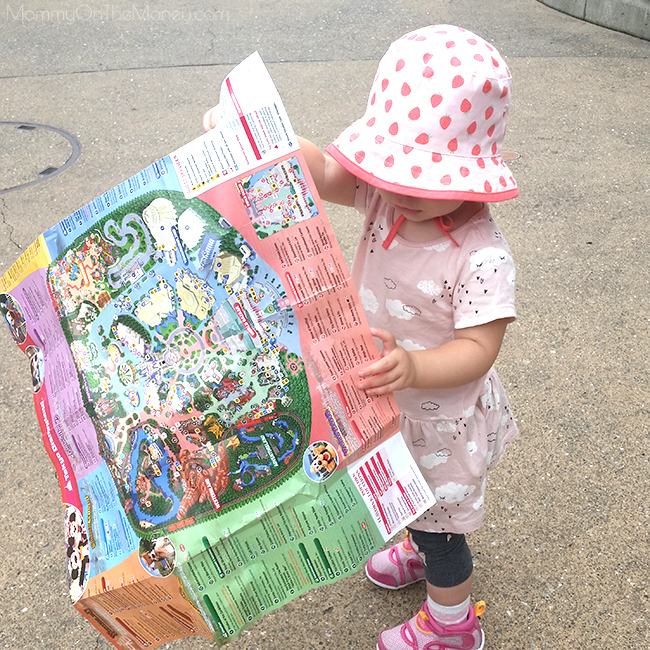 Shhhh... Tokyo Disneyland Secrets and Tokyo DisneySea Secrets!!! 1. July 28th thru the 30th was an absolute golden time to visit. Kids were just finishing up school. The parks were not crowded. We did need to use our Fastpasses strategically for DisneySea but Disneyland was very easy to get through without them and using them just enhanced the experience. 2. If you've been to the American parks, you can skip Tokyo Disneyland. Seriously, you can. If you only have 1 day to do the parks, know that Tokyo Disneyland rides are very much like the American parks. Some seem like exact copies. If you have limited time, spend it at DisneySea. That is the truly unique and magical experience with some rides, or versions of the same ride (like Tower of Terror seems to have a different story at each park) that you will not find in any other parks. 4. Strategize your Fastpasses. Toy Story FIRST at DisneySea. Monsters Inc. FIRST at Disneyland. If you have already been on Toy Story ride in other parks it is nearly identical except for the queue line but where we are from in California there is no Fastpass so I can't even remember the last time we went on. Everyone joins a MASSIVE line at Toy Story to get their Fastpass. You can get more than one Fastpass after two hours or at your window time for your first Fastpass and continue this strategy throughout the day. We got a Tower of Terror Fastpass as our second (which is very unique to this park), Indiana Jones as our third (which is almost an exact copy). I actually missed the Journey to the Center of the Earth because it was shut down and my little guy was too small still, so we didn't bother going back. DO NOT LOSE YOUR PARK TICKETS. You will use them to get the Fastpasses. Fastpasses will be located near the ride entrances for each ride. There may be queues for Fastpasses. The one for Toy Story was HUGE. People RUN to get there and there are cast members that are paid to tell you not to run along the way before you are corralled into the enormous queue. 5. Download an App for Wait Times. Whether you are iOS or Android, go to your App Store on your device and search for Disneyland Tokyo wait times. You will find many apps dedicated to wait times at the different rides and attractions at each park. This can help you decide which rides to do in between your Fastpasses and prevent you from wasting too much time in long lines. 6. Keep your eyes open and your mind out of Lalaland. We noticed that everyone was skipping the very first line to get into DisneySea... literally just walking right past it and joining the other more crowded lines. Put your phones down and keep your eyes peeled people! Do not follow the herd. Do not stare at your phone all day. (I know... it's haaaard.) We also noticed this when lines split into two and if you take a second to think before you choose one, sometimes you can choose a much shorter line! 7. Bring your own food. It is totally legit to bring your own food into these parks. There is a Supermarket in the Ikspiari Marketplace ground floor and this can save you loads of money and time, especially if you are in a crunch. It is one stop away from the parks on the monorail. 8. Divide and Conquer. My husband is going to love this one. He is the main proponent of this strategy. 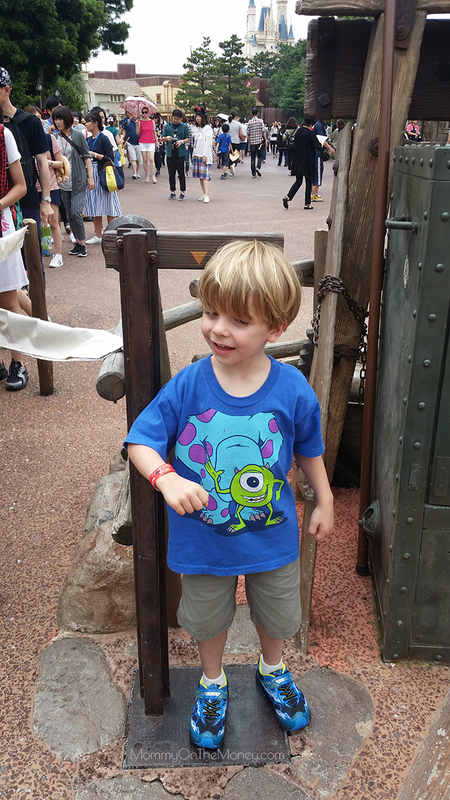 He said he could have shaved 20 minutes off the Toy Story line for a Fastpass if we weren't with him on the first day and he pulled it off on the 3rd. Instead, we ran, err walked really fast for a food reservation which we still didn't get, and you are not allowed to run. 9. Grab those food reservations FIRST (while someone else is getting your first Fastpasses). Do your research about the food if you want to have the special sit-down meals. Again, as mostly vegans, we didn't put to much emphasis on this because we did our research and found that it really was not worth it. Since we visited the park at a slower time, we were able to score some of the reservations we wanted without freaking out about it and it was perfect. 10. Don't sit and wait for a parade or fireworks show for hours. I found that I can walk up and see these shows without waiting for a minute. On a particularly crowded day get in there a little in advance and stand. You will be able to see, I promise. Standing for 45 minutes will not kill you. Trying to secure a good viewing spot is a complete waste of time. Most of the people I watched do this were watching it on their cell phone screens which made absolutely no sense. Guys - open letter - your videos will be grainy when you see them on a big screen, you can see the parade from practically any spot on the route, and you wasted some serious ride time sitting there. Besides, who actually watches videos of parades after the vacation is over?! Cute kids smiling, laughing, doing funny things - yes, but torturing your friends and family with a grainy re-run of a parade with horrible sound quality? Just do yourself a favor and enjoy it in person, okay? 12. Stay late. Many of the little kids go to bed and you will find shorter lines and a totally different experience. My little guy was big enough for Big Thunder Mountain and we had to ride 2-3 times at night because it was so much fun!!! 13. Get your tickets online, print them, read them, keep them. This will keep you from having to stand in the ticket line. Note which parks you are allowed to enter for each day (so you don't show up to the wrong one on the wrong day and lose time switching tickets are trying to regroup and scramble to the other park). Keep your tickets. You will need them to get Fastpasses. There are not many things worse than getting to a ride you have a Fastpass for and finding out you can't ride with the baby, you are too short, or even too tall! *Visit their Attractions page for ALL current requirements and restrictions. 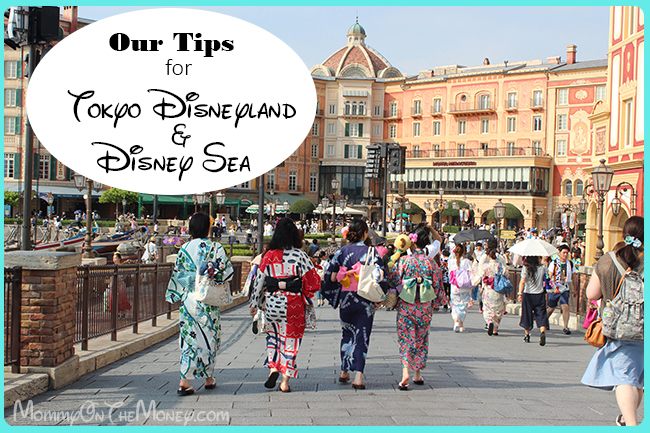 I hope you liked all of our Tokyo Disneyland Secrets! If you have any you would like to share, please leave them in the comments!